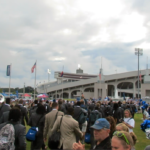 A football Saturday at the famed Liberty Bowl begins with the wide open lots surrounding the arena becoming filled with tailgaters. 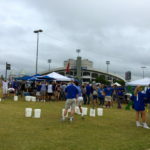 Fans who wish to take a break from their BBQ have plenty of options for entertainment. 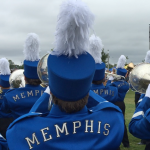 A few hours prior to kickoff, the Memphis team is dropped off outside the Liberty Bowl where supporters can line up with the band and sing “Go Tigers Go!” as their beloved team makes their way to the locker room. 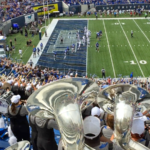 The band, The Mighty Sound of the South, hangs around and plays for gathering crowds. Cheerleaders and dance team members join in and continue to add to the festive nature around the perimeter of the stadium. 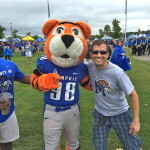 Pouncer, the bright orange tiger mascot, adds to the revelry by revving up fans and honoring picture requests. 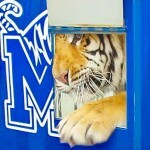 Arguably the most impressive attraction is the arrival to Tom the Tiger. 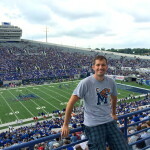 Police escorted onto Liberty Bowl grounds, TOM is the live bengal tiger mascot for the University of Memphis. 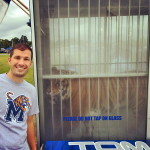 Many schools have live mascots, but having a tiger is a unique aspect of Memphis. 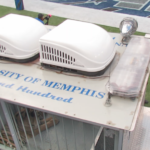 Carted in his own trailer, the presence of this symbol has been a tradition at Memphis since 1972. Fans line up to take pictures with Tom through the glass of his four-wheeled travel home. 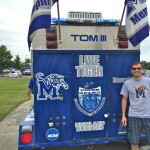 Once Tom has shown off outside, he gets an on-the-field vantage point of the game. 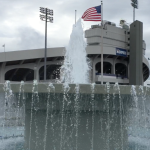 Inside the Liberty Bowl, the action continues. 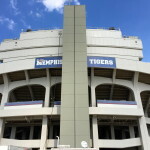 Shaped a little bit like a sombrero, this stadium is easily one of college football’s most recognizable. 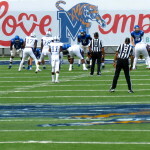 Football Saturdays fill the Liberty Bowl with blue and gray and cheer passionately for their Tigers. 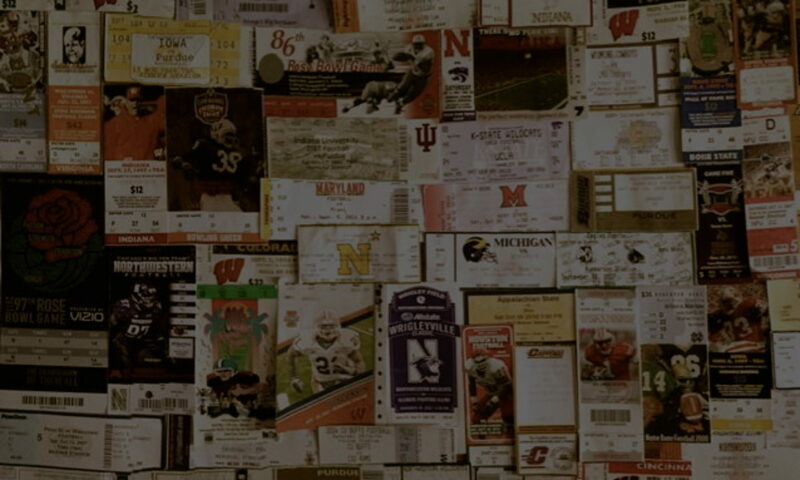 Touchdowns are celebrated with canons blasting, sirens blaring, and the Mighty Sound of the South blaring out the fight song. 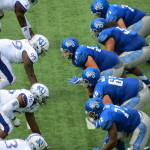 Tom lurks back and forth in his cage behind the endzone, perhaps eyeing down the opposing team. With or without Tom, intimidation lives here. 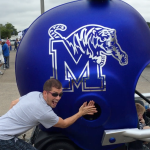 Memphis fans are ardent supporters of their team and winning at the Liberty Bowl is never a foregone conclusion. 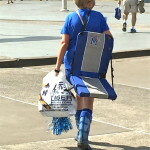 Memphis is the perfect town to host this avid bunch of fans, and sports enthusiasm doesn’t end with the game. 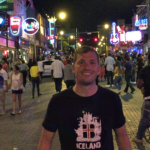 It transforms to night life as famed Beale Street lights up and turns on the tunes and southern cooking. 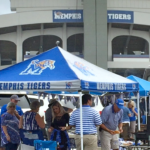 Football Saturdays with the Tigers becomes even more special living in this special town.